CALGARY, Nov. 9, 2018 /CNW/ - Cadillac Fairview (CF) is pleased to announce the highly-anticipated completion of the CF Chinook Centre Dining Hall renovation. 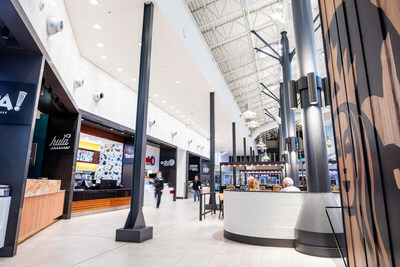 Following a ten-month renovation and $17M investment, Calgarians can now experience an enhanced shopping experience with a modern and refreshed food court. "We are excited to officially open the new Dining Hall at CF Chinook Centre. 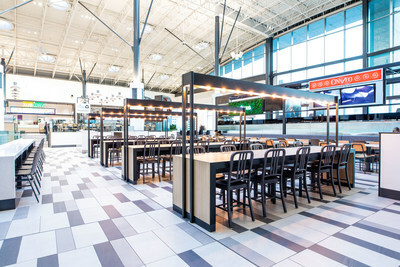 The transformed space provides a premium dining experience and a diverse range of exciting food choices for everyone to enjoy," says Paige O'Neill, General Manager, CF Chinook Centre. "At CF Chinook Centre, we're committed to making long-term investments in the City of Calgary and we are constantly looking for ways in which we can improve and elevate the in-property experience for our valued guests and tenants." The Dining Hall is 30,000 square feet in size, seats 835 guests and features 20 dining options. Subway, Famous Wok, Hula and Nam have been added to the current roster of dining options, in addition to Starbucks and Cinnzeo opening additional property locations in the Dining Hall. 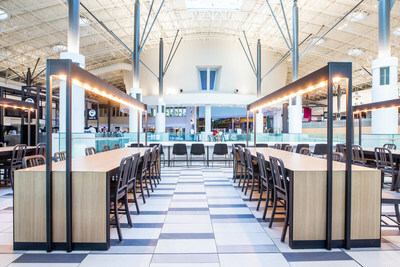 The rejuvenation marks the latest noteworthy upgrade to CF Chinook Centre's food court since the last revitalization in 2000. The space has been completely transformed featuring enhanced décor elements, including tiling, upgraded furniture with communal tables and banquets, revamped outdoor patio area; and new sorting stations for disposing of organic waste, recyclable and non-recyclable materials. Overall, the restoration will provide guests with a first-class dining experience in a modernized and polished space. The revitalization builds on other development projects at CF Chinook Centre which includes a $4.5M investment to the south end of the property which consists of new flooring and railings, as well as the addition of the 61 Ave pedestrian bridge which was completed in late 2017. Earlier this year, CF Chinook Centre welcomed Canada's third Saks Fifth Avenue store and the city's only Louis Vuitton store in October.